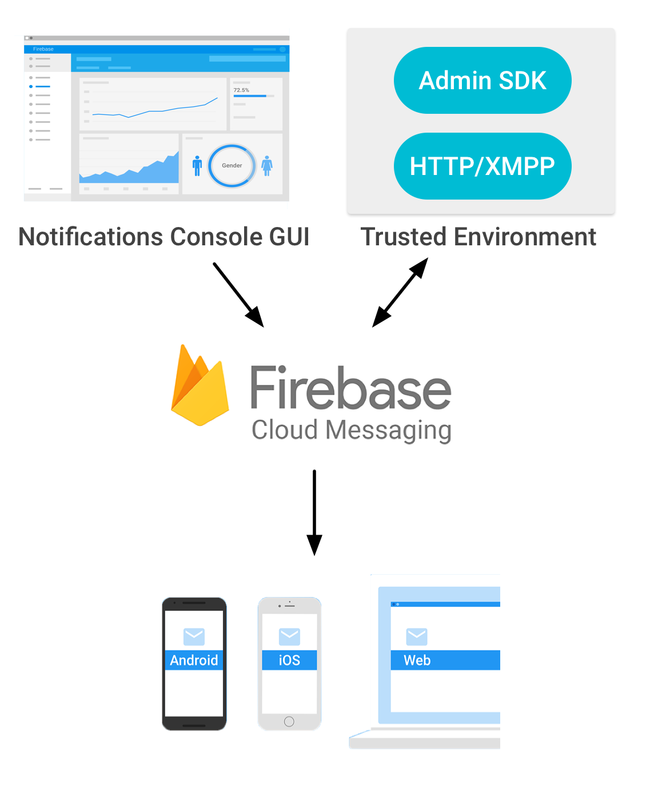 FCM (Firebase Cloud Messaging) replaces Google Cloud Messaging (GCM) as the API to send/receive push notifications from. Most of the popular apps in the market uses push notifications to engage the user and i am sure you are interested to implement them in your app too so follow along. As shown in the figure, the FCM is the middle ware between your device and the server. You send the message you want to send to the devices to the Firebase server and it redirects it to the appropriate device. It handles all the middle ware part like scheduling notification time, failure and success rate, unique device tokens etc. We can use a http/xmpp server to send the message to the FCM server but in our tutorial we use the handy tool provided by the FCM guys - Notification console. Before progressing to code and FCM working for push notification, we should do a little review of how push notification works. Apple Push Notification Service (APNS) is responsible for managing devices and sending message to them. 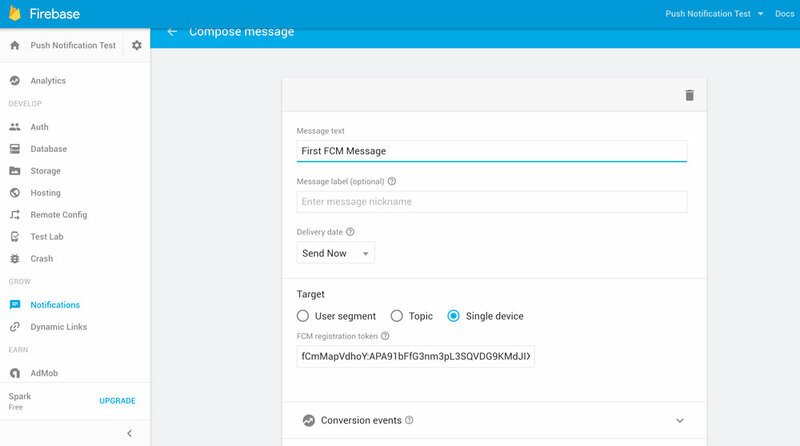 We can send our push notification payload to the APNS server with the device token and it takes care of scheduling the message as well as success/failure rate. Each device is uniquely identified by its device token. Further, an app require user to grant the permission to send push notification to user device. If the user declines - you won’t get a device token and therefore can’t target the user. Create a new Xcode Project and name it FCM_Tutorial. 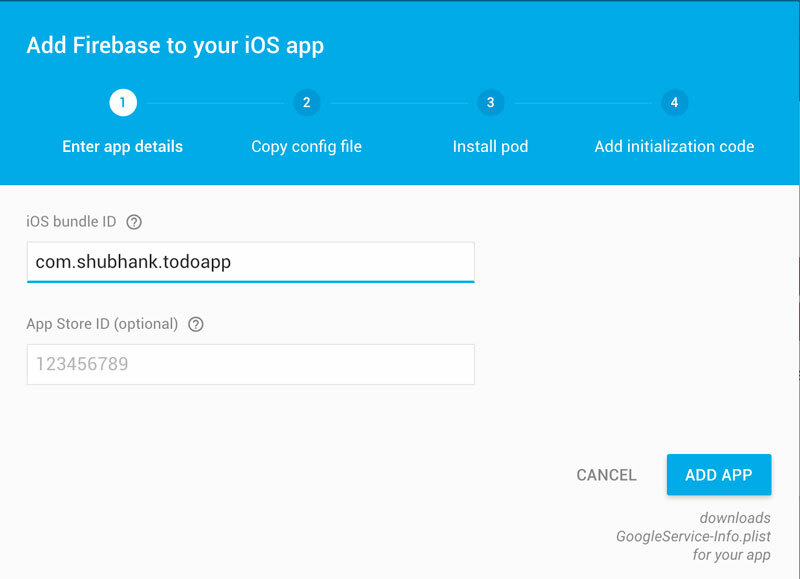 Now note down the bundle id and store it in a separate place, we will need it to make the GoogleService-Info plist file later when we add Firebase to our app. To get the device token - we need to ask user permission for sending alert, banner and/or sound push. We create an array defining the types of notification we need and then call registerUserNotificationSettings so that the OS ask for the permission from the user. Prerequisite : You need to have Xcode 7.3 or higher for the FCM to work. Press Add app and now you will get the GoogleService-Info.plist downloaded automatically. Now keep pressing continue to finish the integration steps and get back to the project. 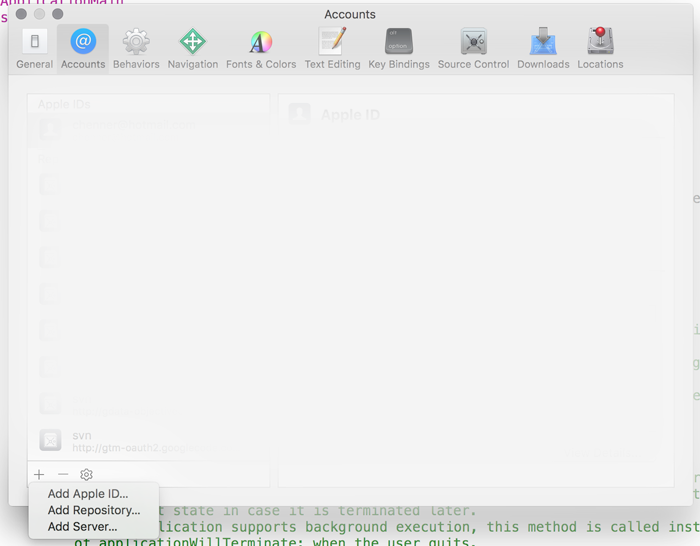 Drag the plist you downloaded into your project root (where .xcodeProj file is). The plist file actually includes all the relevant settings for the firebase app including the firebase database url for your app. Run pod install in terminal and once completed open the .xcworkspace file to open the project. Open up Appdelegate.swift didFinishLaunching method and in it add the line FIRApp.configure() Make sure to import Firebase in each class you use Firebase. In this method we save the device token to our FIRInstanceID so that our unique device token is made for Firebase. keep a lookout for this method, every time the app fails to register for remote notification - it will show the error details here. 2016-09-01 19:19:04.639: <FIRInstanceID/WARNING> Failed to fetch APNS token Error Domain=NSCocoaErrorDomain Code=3010 "REMOTE_NOTIFICATION_SIMULATOR_NOT_SUPPORTED_NSERROR_DESCRIPTION"
Make sure to test on Device!. You must already be knowing that to run app on devices - we need to have provisioning profile with the device udid added in it. To send push notifications we also need to create separate push certificate and upload the .pem or .p12 file on our server. Firebase require you to upload the .p12 file. 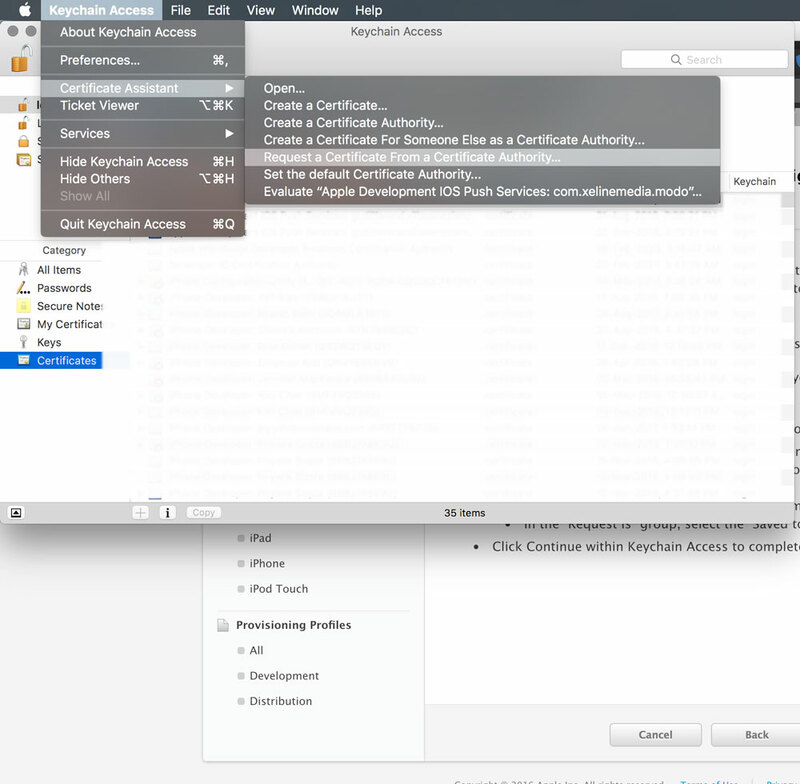 Xcode 7 has the option to automatically create provisioning profile and certificates for you. Go to preferences in Xcode and Add your apple developer account if not already added. Next up is to set the team in Xcode. This will make Xcode use the appt. 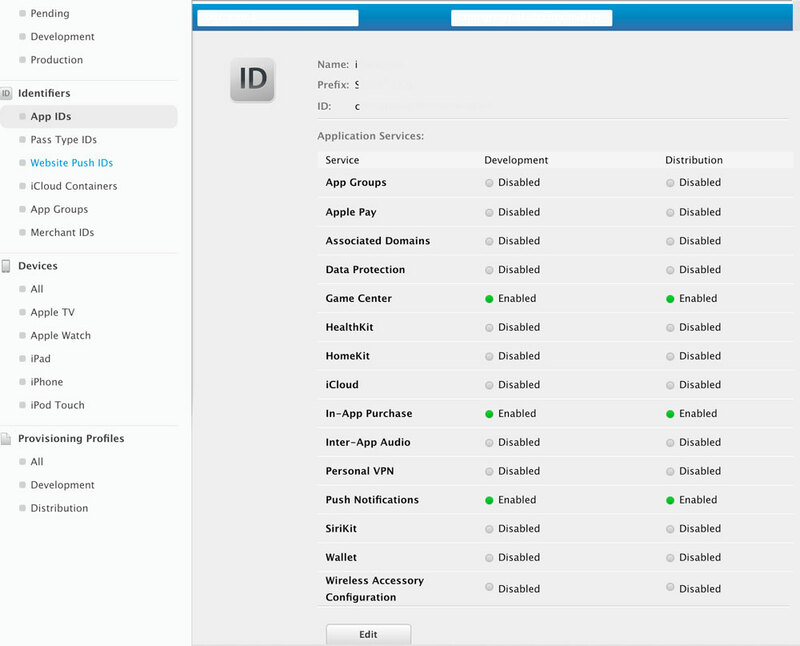 apple account to create the app id and provisioning for our app. 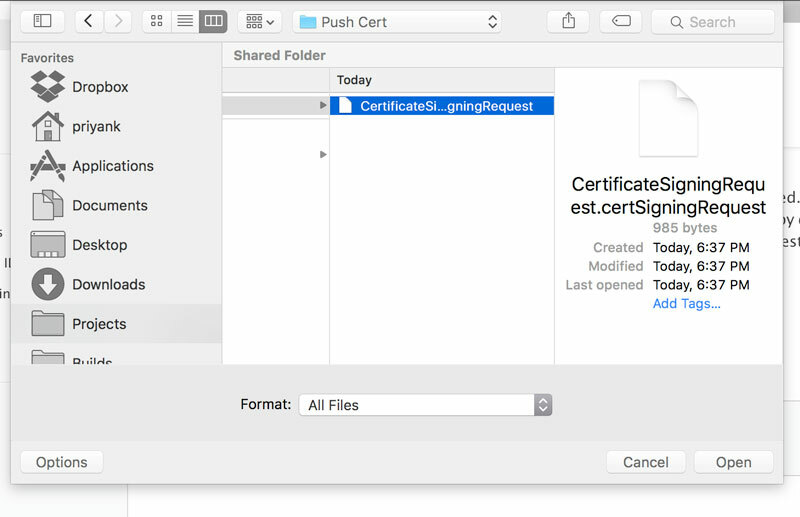 Xcode will now register your app id and enable the push certificates for you. If the easy way does not work and you don’t see the token still after running the app, you would have to take the longer route of creating provisioning and certificates using Keychain Access and Apple Developer Portal. Open up Keychain Access app by finding it in the LaunchPad. In the New Window that opens, add the email and name and then select the option to save it to disk. Save the certificate to a place where you can locate it later on. Now proceed to Developer Center and login into your account. Download the aps certificate created and double click it so that it is added to the Keychain. Right Click the Apple Push Services Key Row and Click Export Save the .p12 file now in a safe place and skip setting a password for the exported file for now. Last Step is now to download the provisioning profile. Everytime you update the certificates for push for your app id, the provisioning profiles are required to be regenerated so that they have the entitlements set. Go to the provisioning center and create a new/edit development provisioning profile (make sure it has your development device udid) for your app and download it. Open it up in your xcode and set it as the Development provisioning profile in Build Settings. 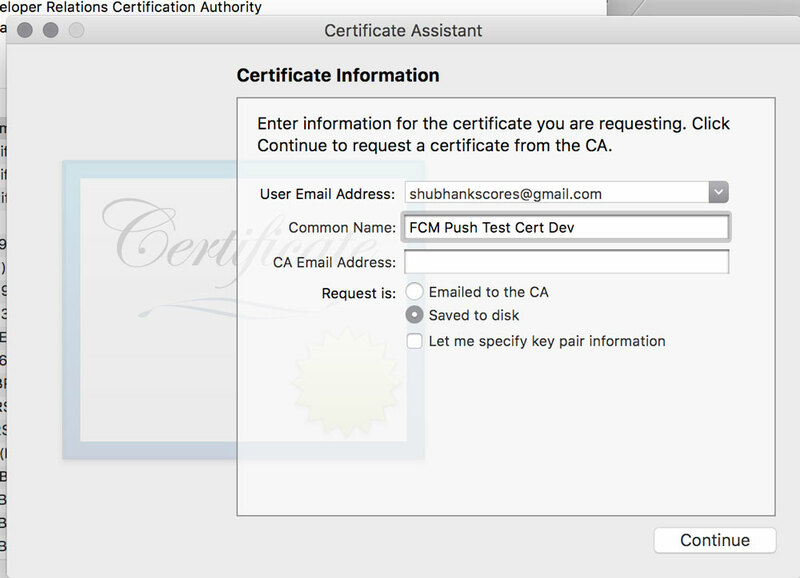 2) App Store/Adhoc build will use the Distribution SSL Certificate for the Push certificate. 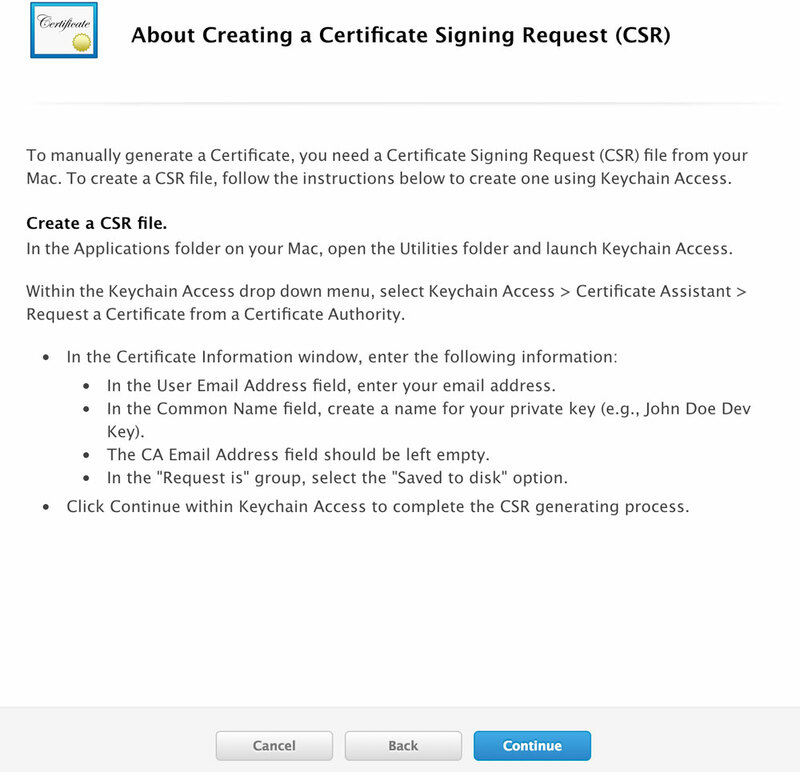 Make sure to repeat the steps above to make the distribution push certificate when submitting app to the store.